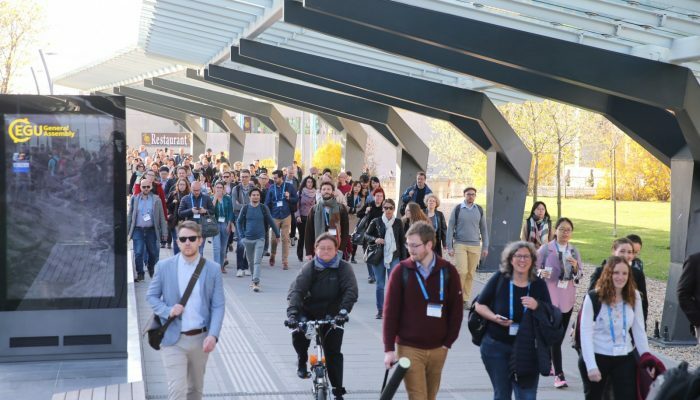 The annual EGU General Assembly, the largest geoscience conference in Europe, attracts more than 15,000 attendees to Vienna, Austria every year. With such a large number of participants, many flying to the Austrian capital to attend, the meeting has a large environmental impact. Given this, the EGU is implementing a number of initiatives towards minimising the General Assembly’s carbon footprint. Today we’ve compiled a few of the ways the EGU is working to make your conference experience more environmentally friendly, and how you can help. The environmental cost of travelling hundreds to thousands of kilometres for a science meeting cannot be ignored. To reduce this impact, we encourage participants to travel by train to Vienna when possible. For example, we are promoting a discount offered by SBB, the Swiss Federal Railways, to General Assembly participants traveling from Zurich, Switzerland to the meeting. As in previous years, we also encourage participants to use public transportation once in Vienna by including a weekly transportation pass with every week ticket to the meeting. Looking for ways to make your conference travel carbon neutral? As a repeat from last year, we are giving meeting participants the opportunity to offset the CO2 emissions resulting from their travel to and from Vienna. To take part, simply select the ‘offset your carbon footprint’ option if registering online or through the on-site terminal stationed in the entrance hall of the convention centre. Depending on the origin of your travel we charge you an amount to compensate your CO2 emissions. The money collected from you will then be forwarded to the Carbon Footprint campaign to be invested in one of the three projects participants can choose from. 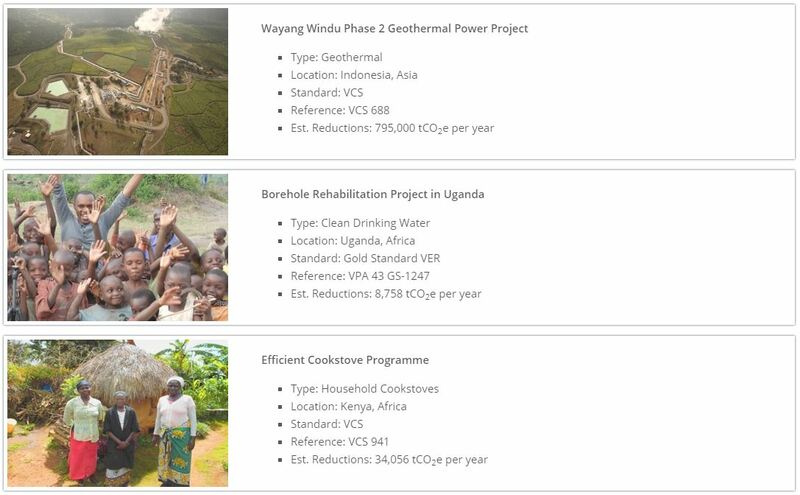 If you opt to offset your carbon emissions, the money collected from you will then be forwarded to carbonfootprint.com to be invested in one of these three projects. 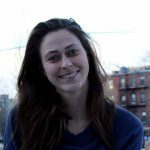 This carbon offset initiative was introduced during the 2018 General Assembly, with about 4,800 attendees, almost one third of the total meeting participants, taking part! We collectively raised nearly €17,000 for the carbon offsetting scheme, which was donated to a project that aims to reduce deforestation in Brazil. EGU’s daily newsletter at the General Assembly, EGU Today, will now only be available online, and we are moving towards producing digital versions of the programme book exclusively. Carpeting will be limited to the poster halls on the basement level. Lanyards used at the conference will be produced using 100% recycled material, and the badges contain FSC-recycled paper, which can be recycled in the paper products bins. The plenary and division meetings will serve lunch bags with recyclable PET bottles, which will have designated boxes for disposal by the exits of the rooms. Single-use water bottles will not be offered at coffee breaks. Instead water fountains will be placed throughout the centre. Bringing your own water bottle and mug for hot drinks is highly encouraged! We will also sell multi-use water bottles and coffee mugs at the EGU booth. The ACV also has a number of green measures in place, including having energy-saving LEDs throughout the centre, using a solar array to heat the water used in the kitchens and toilets, and working with an in-house catering company compliant with green standards. If you would like to learn more about the EGU’s efforts to make the General Assembly more sustainable and share your own ideas to make the meeting more environmentally friendly, we encourage to participate in the townhall session “The carbon footprint of EGU’s General Assembly,” taking place on Thursday 11 April, 19:00-20:00 in room -2.47 of the convention centre. Organise a short course at EGU 2017: follow this simple guide!